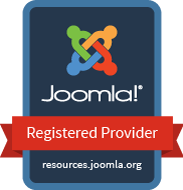 SobiPro is the most advanced Multi-Directory Component for Joomla! With only one SobiPro installation, you can build any kind of content on your website. It is flexible, fully customisable and mobile friendly. You will find the demo site at demo.sobi.pro. With SobiPro 1.2 we re-designed the default SobiPro template. As the Joomla! template of the demo site is based on Bootstrap 3, we use the Bootstrap 3 version of the default3 template for all sections. The demo site shows the SobiPro component and the applications we developed for SobiPro. At the moment not all applications are available at the demo site. We are going to implement them one by one. Presently the demo site shows three sections. The first section is the standard SobiPro Business directory which will be installed with the full version of SobiPro. The second section, the 'Restaurant Guide', is the SobiRestara template and the third one, the 'Members Directory' shows the SobiMembers template. Contact Form Field: The Contact Form Field is used 2 times, once for a simple contact form and for a reservation form. Review and Rating Application: The Review and Rating Application is used to review and rate the restaurants. Notifications: To send emails, SobiPro needs the Notifications application. Profile Field: The Profile Field is used to connect the profiles from the Members Directory with the sections Restaurant Guide and Business Directory. In the collapsable area My Entries all entries from both sections are shown which belong to that member. QR-Code Field: The QR-Code Field is used to show a vCard of the member as QR-Code image. This image opens in a popup, when you click on the QR code sign in the profile of a member. SP-GeoMap Field: The SP-GeoMap field shows the location of a member in the details view. Aggregation Field: The Aggregation Field is used to enter tags for education, occupation, places lived and visited and languages. You can either click on such a tag when in a profile, or search for it by entering the tag in the general search field of SobiPro search. Several options are available only for registered users. To see all options of these directories you can log in at front-end. You can also log in to the administrator panel to see the back-end functionality. Please notice that the functionality in the administration area is limited for security reasons. Please notice that the data entered in these directories are not compulsorily authentic (especially the addresses and offers), so please do not use these directories as a source of information.